Our Age Renew System is in! Ask your stylist today how the Age Renew System Can give your hair the Boost you were looking for! “Reflecting Botox results” Age Renew features the use of hyaluronic acid, which restores the hair’s natural luster and youthful characteristics! The instant dry shampoo is here to stay! Leave your hair looking cleaner longer with our ultra-fine misting dry shampoo. this product gives you more time in between washes, keeping the hair light weight. What Better way to keep your hair hydrated and soft than our Moisture Plus Line! 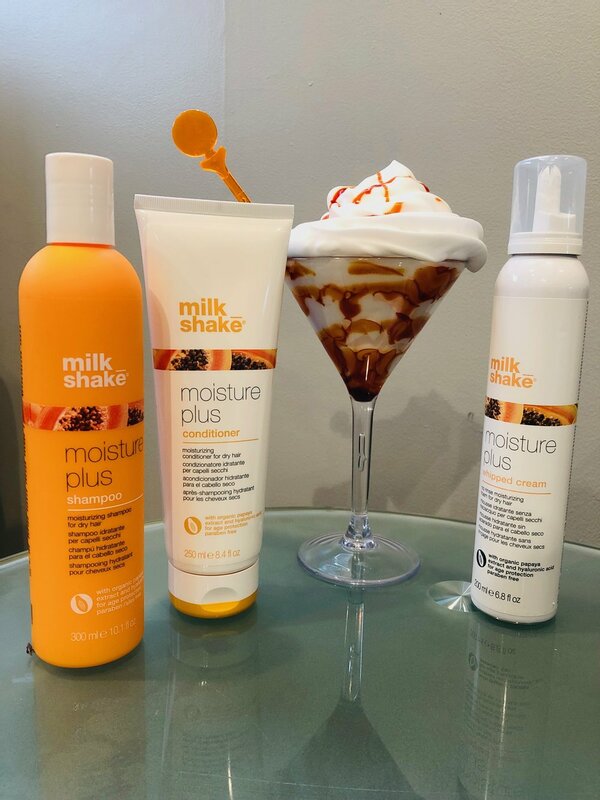 Moisture plus offers an shampoo, conditioner, and leave in utilizing natural papaya extract, Integrity41, and hyaluronic acid with anti-aging action.